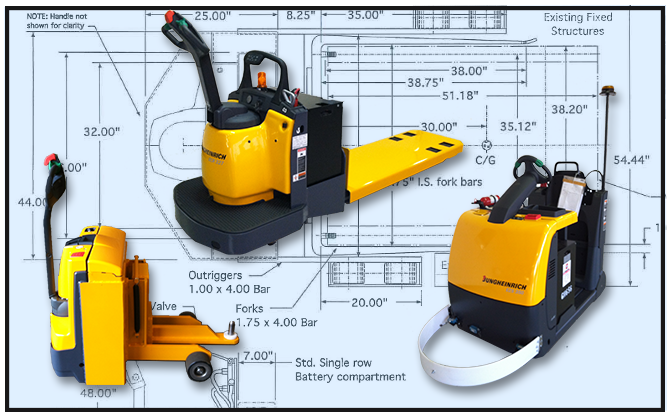 We Have Been Providing Custom Lift & Warehouse Products For Almost 50 Years. Custom built to your specific application. From engineering and design to fabrication and assembly. We will supply you with a completely new unit or modify your existing jack. Are you in the textile industry? We have modified several units in order to more efficiently move A-Frames throughout the facility. Rolls of fabric need to be picked up and transported, look no further. Do you have reels or winders in your application? We have the solution to move these as well. How about injection molding machines? We have modified stackers in order to lift heavy injection molding tools into place. This all happens in-house in our Greenville, SC location. Contact us today with your special project and see what G&W can create for you! Over 200 Specialty Units Currently in Operation.